And are they really healthier? Troy Tunney knows the importance of appealing to his customers as the manager of O'Malley's in the Alley, a popular downtown Cincinnati bar and hangout. So when Tunney’s customers started asking for something new, he had to listen. "We're up to like 20 cases a week," Tunney said. "We started out with just like one." Tunney’s customers weren’t asking for wine, or beer or whiskey. Instead, customers began requesting hard seltzers. What is hard seltzer, you ask? It's essentially spiked sparkling water that comes in a variety of fruity flavors. 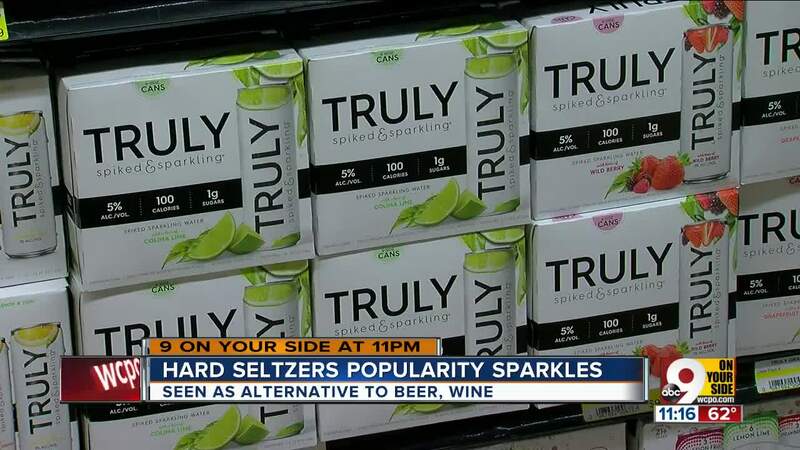 Hard seltzer brands on the market include White Claw, Henry’s Hard Sparkling Water and Truly Spiked and Sparkling Water. To consumers like Kristi Winters, it's the drink of choice for the summer of 2018. "It's such a good mix. It's refreshing. It doesn't leave you feeling bloated," Winters said. "Not a lot of carbs. Not a lot of calories." The Party Source in Bellevue is a "go-to" for partygoers. It’s no surprise that Assistant Store Manager Marty Holland noticed the hard seltzer trend early on. "There was a clambering for it all summer long," Holland said. "Finally got it in about halfway through the summer of last year and it's been a rocket ship ever since." According to the experts behind the bar or behind the store counter, many people are drinking hard seltzers as an alternative to beer, wine and other alcoholic beverages -- especially vodka soda. The high demand drove Tri-State bars like O’Malley’s in the Alley to begin offering the alcoholic beverage. The companies market to health-conscious consumers like Winters, who is a marathon runner. "I'm really trying to cut back on those empty calories since I am a runner. And, this is a good compromise," Winters said. According to White Claw’s website , one 12 ounce serving has 100 calories, and 2 grams of carbohydrates and sugars per serving size. One 12 ounce bottle of Bud Light has 110 calories, but 6.6 grams of carbohydrates. 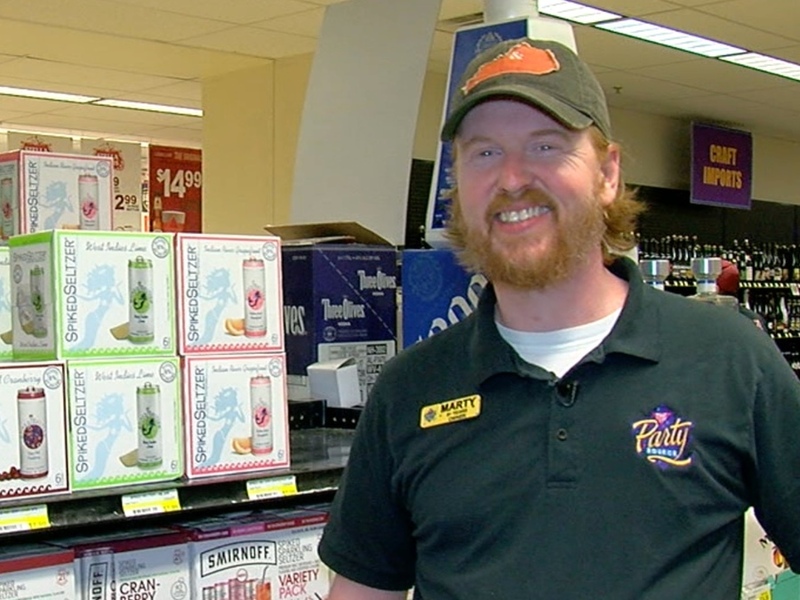 It’s estimated that 70 percent of hard seltzer buyers are women but several men, including Ryan Collins, said they like the products for similar reasons. 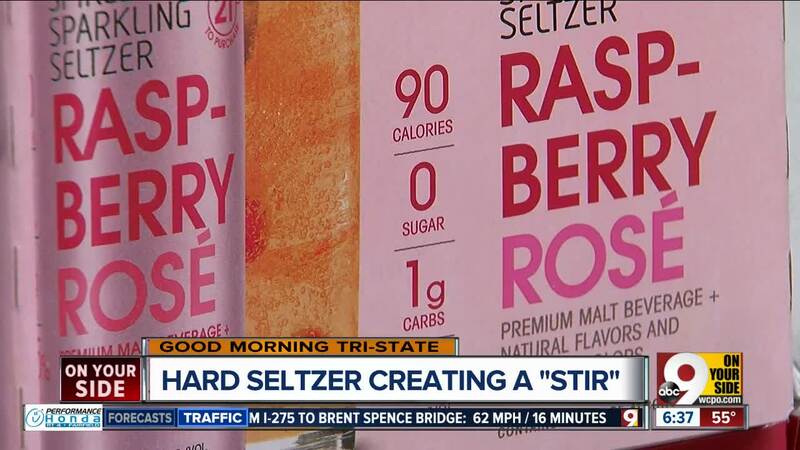 "The hard seltzers are typically under 100 calories which I really like -- to be able to still have a drink but not pay the price," Collins said. Nick Fishburn said he learned about the drink from his fiancée. "She said it's the same amount of alcohol as a beer," Fishburn said. "So I said, ‘Okay, I'll try one.’ And that's when I really fell in love with them -- started drinking them more." A 12 ounce can of White Claw is 5 percent alcohol, compared to one 12 ounce bottle of Bud Light which is 4.2 percent alcohol. So will the hot seller have staying power at The Party Source during the summer of 2019? "I think we are going to see at least a carved out niche," Holland said. "Maybe we won't have as many players down the line." The manufacturers of many hard seltzers are recognizable names: Anheuser-Busch InBev, MillerCoors and the maker of Samuel Adams. Experts predict hard seltzers sales will be around half-a-billion dollars for 2018. "In this industry, things get really hot and they get really cold," Holland said. Hot, cold -- seltzer or not -- always remember to drink responsibly.